Welcome to the TOY DOLLS TOUR IN BUDAPEST website ! Enjoy the pictures ! 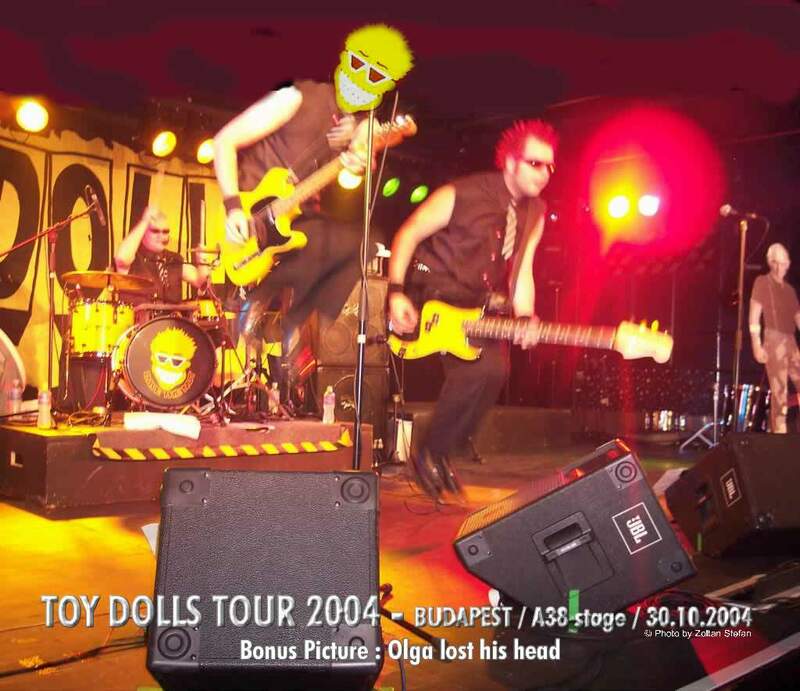 This site contain only some pictures of TOY DOLLS tour in Budapest. This is a funny pic, 'cause Olga was jumped to so high, than he lost his head (from the picture). But don't worry Olga, I've gave the another head to YOU ! This is an unofficial TOY DOLLS site. Webdesign and location by Zoltan Stefan : AC/DC .